AlaskaX- The Perfect Workamping Adventure! What embodies the Workamper lifestyle more than great jobs in great places? A cool job in an awesome place, that’s what! 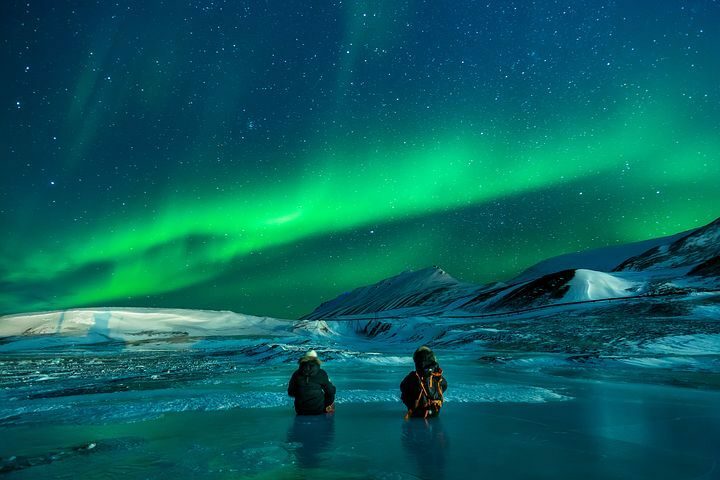 If you’re looking into jobs that will provide adventures not only along the way but also through your days, consider Alaska Excursions for a Workamping adventure to remember! 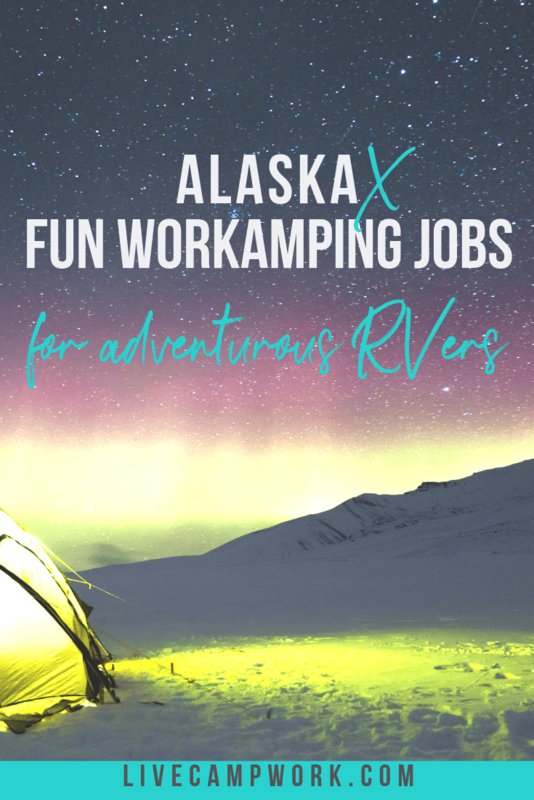 Alaska Excursions, or AlaskaX, is a newbie in the Workamper employer community. Their quickly growing tour company offers a wide variety of positions for Workampers looking to join their team in Skagway, Alaska for the summer. Skagway is a well-known, small town in southeast Alaska. Mild temperatures during the prime summer season make it an ultra-desirable location for outdoor enthusiasts and travelers alike. Hiking trails, gorgeous scenery and a variety of wildlife make taking a trip to Alaska for the summer an extra special bucket list item for many RVers! As part of the AlaskaX team, you will be paid for all hours worked at an hourly rate of $12-$15 depending on your position. As an additional benefit, you will have the ability to experience all of their offered public tours for free as well as the ability to take advantage of other local tours for free or at a reduced rate. Employee housing is available for staff members to rent in the town of Skagway. There is a free employee shuttle for those working outside the city with picks ups both to and from work locations. For those driving up in their RVs, AlaskaX has a private RV park located in town as well! Sites include water/sewer/electric and are available for $550 per month. A typical season runs from the end of April to the end of September. If you can make the commitment to stay for the whole season, your application will be given preference over a partial season applicant, so keep that in mind when applying, just don’t overextend yourself where you might have a problem completing your whole assignment. They do offer an end of the season bonus for employees based on completion of the season and a performance review. Staff members who complete their employment agreements and receive a positive review are eligible to earn a full bonus calculated at $2 per hour for each hour worked. A typical day at AlaskaX is face paced with a lot of guest interaction! You can expect days lasting 8 hours on average in many positions and up to 9-11 for others. Your start and end times will vary by position, but in general will not be before 6:30am or after 8:00 pm. Overnights are also not a concern. Staffers can expect to work 4-5 days each week, leaving you some time to get out and explore the beautiful area and create some Alaska memories to take with you after the season! Hiring both singles and couples, AlaskaX evaluates each applicant on an individual basis for the position they have applied. They do make an effort to accommodate both couples and friends with scheduling requests as often as possible. If you want same days off or opposite days off you will need to bring this scheduling concern to their attention early on in the hiring process. Providing the best possible guest experience with the greatest tour and excursions possible is one of their main goals, so being exceptional in customer services as well as a team player will be vital skills! Keep in mind that while they do accept applications for all positions and are happy to train the right individual, preference is given to applicants who have prior experience in the area they are applying. Also, AlaskaX utilizes Skype interviews so they can meet potential hires during the application process. These will be scheduled after your application is reviewed. Adventure Guides are tasked with the job of guiding guests on an adventure they will remember forever. Warmly greeting guests while safely driving and providing them with an entertaining tour along the way is a top priority. Guides usually stay with the guests all throughout the excursion entertaining them along the way and completing other tasks like picking up litter, cleaning guest bathrooms, and keeping the refreshment area stocked. Provide guests with their first impression either over the phone, through an email, or in person. The company’s first point of contact for ship staff and other local companies, you will make sure all of the ships leave on time with the correct number of people on board. Making snacks and drinks for the different tours, selling tickets to prospective guests, handling guest reservations are all in a day’s work! This position is great for people who thrive in fast-paced working environments, enjoy engaging with people and are always up for a new challenge. If you have a green thumb and a love of the outdoors, this position might be right for you! Your days will be spent brightening buildings with flowers and lush lawns, maintaining workspaces and natural trails. To excel in these positions, AlaskaX suggests staffers be physically fit and able to complete days of physically demanding repetitive motions and extensive walking in all types of weather. Help capture guest excitement and experiences as part of the photography staff. Take pictures during excursions that are then provided for sale in the gift shop. Capturing the excitement of the moment is your main responsibility and being able to use creativity to precise timing will serve you well in these positions. This position is fast-paced and requires the skill to position photos for all types of weather. Assisting store customers in onsite gift shops also includes working in the coffee shop/bar and the photo sales department. Welcoming guests, answering questions, offering assistance, and handling cash/credit cards at the register are all daily tasks in this position. The maintenance staff performs a wide range of tasks throughout the company. These include, but are not limited to repairing, servicing, and building equipment of various sorts. They operate equipment such as loaders, excavators, dump trucks, and work vehicles. They even do things such as cut trees as well as build fences and cabins. They perform any task that is needed throughout the company. Employment decision generally made within a week. Traveling With Children: What’s The Best Age To Start?